But whether it can restore faith after being accused of allowing hate speech and harassment to flourish remains to be seen. A rare earth mine in northern China. Beans are Trump’s trade secret weapon. Minerals may be Beijing’s. President Trump’s trade battles have escalated quickly. In January, they affected 18 products; today they touch about 10,000. (Here’s a smart visualization of the ramp-up.) While it includes everything from tires to tilapia, some items matter more than others. Soybeans are central to the spat with Beijing, because China relies on America for much of its supply. That’s good for Mr. Trump: The Chinese are stockpiling them ahead of the tariffs, which tilts trade figures his way. But his threat to impose levies on an additional $200 billion worth of Chinese goods is forcing Beijing to rethink its tactics. Alexandra Stevenson of the NYT points out that China could cut supplies of minerals vital to batteries, smartphones and other high-tech items. They’re worryingly hard to get elsewhere. More in trade: Brexit and the trade wars are quietly undermining the markets. There may be a slim chance of America and China restarting trade talks. So far, the fight is costing a typical American family about $60 a year (next stop:$270). Jared Kushner may have left his role at his family’s real estate company, but he still has holdings in it. That raises questions about Kushner Companies’ dealings with partners with ties to the government. 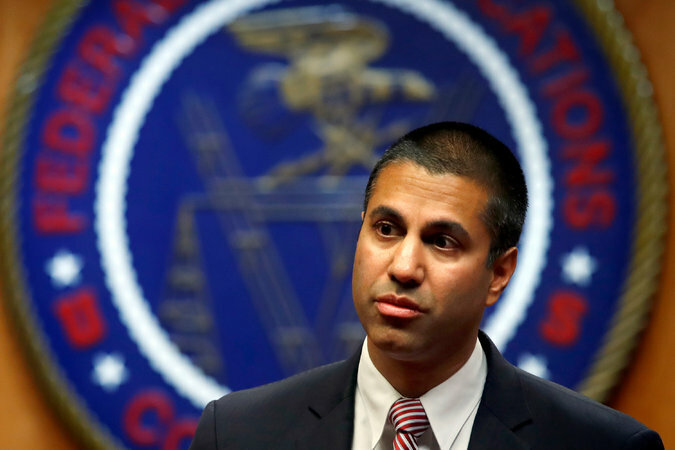 Ajit Pai of the F.C.C. Meanwhile, the WaPo claims that the F.C.C. has postponed voting on a provision that would have passed informal complaints directly to companies. Lawmakers feared that F.C.C. staff would no longer review them, effectively forcing consumers into paying $225 to file formal complaints. Artificial intelligence is creating highly believable fake content for propaganda, helping government surveillance, enabling new kinds of cyber attacks, and far more. How prepared is the U.S. government? Morgan Stanley named Tom Miles as its head of M.&A. for the Americas. • Broadcom agreed to buy the software maker CA Technologies for nearly $19 billion, its first major deal since trying to buy Qualcomm. Investors may not celebrate.